In the spirit of Casey Kasem and his Rockin’ New Year’s Eve Countdown (and okay, for those of you born more recently, Ryan Seacrest), the YA Buccaneers decided we needed to do a 2013 Rewind post! 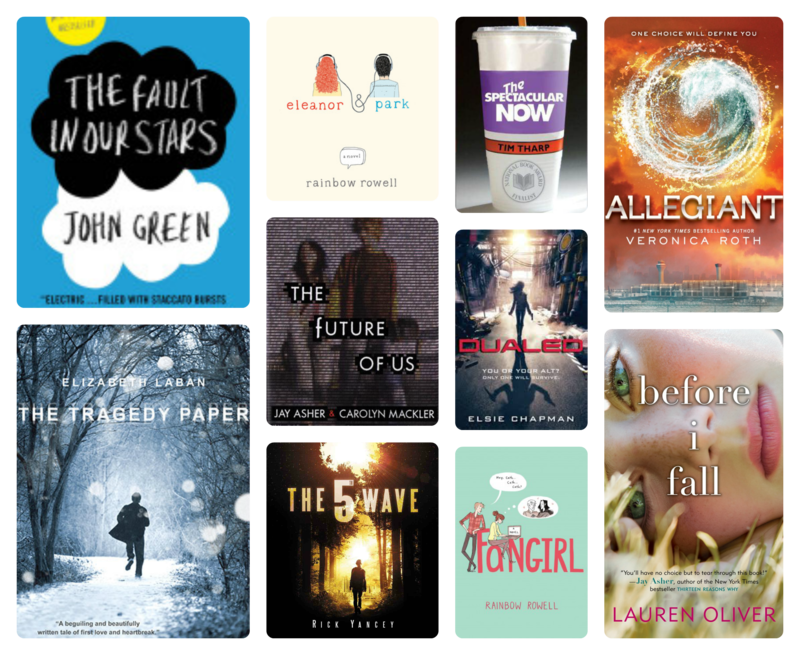 It’s our own Top 10 list of our favourite books of 2013 (both MG & YA), and the music that inspired us. I must admit, some of the books I read this year weren’t from 2013, but they were new to me. And the music? To me, a music playlist is all about the mood I’m trying to create, especially when writing, so I’ve drawn outside the lines a bit on this one, too. I feel like with every book I read this year, I’d finish and say, “That was my favourite book this year!”. Then, I’d start a new book, and end up feeling the same way. Could it be because I read a lot of Rainbow Rowell, and well, the woman is a genius? Could it be that so many great books came out this year? I have no idea. I just know that I had trouble picking my “top” choice. Let’s just say, this is my Top 10 list….with a #1, and 9 runners-up. And my music picks? An eclectic bunch of songs (I chose 8, only because I would have had a list of 35 if I hadn’t). Each one either sets a tone or feels right for a scene in my current WIP. But most are just great songs (one I even got to hear live this year). You can pop over to the YA Buccaneers to see what everyone else picked. Take a few minutes to sail to each blog….you might find a few great books you haven’t read, or some new music to inspire you on these cold nights ahead! Looking forward to starting fresh with new books, new music and lots of new writing in 2014! What are YOU looking forward to most? 5 Responses to Just Hit Rewind! I love your Top 10 picks! I haven’t yet read any Rainbow Rowell, but I have heard such great things, that I’ve had to move them to the top of the TBR pile. Great playlist too! I’m listening to the Sigur Ros track right now while I’m typing this because it is such a beautiful track. Ethereal and heart-melting. Merry Christmas and Happy New Year to you, too, my friend! So many good books on here, and a few I have been meaning to read! I have picked up THE SPECTACULAR NOW several times at the bookstore and ended up not taking it home… will have to remedy that in 2014. I’m going to listen to your playlist while revising my book for the next little bit… (then will probably switch to some other YAB playlists!). Great list! We have several favorites in common. LOVE Rainbow Rowell. 🙂 I really want to read THE SPECTACULAR NOW, THE 5TH WAVE and THE TRAGEDY PAPER in 2014. I’m glad you posted your favorite songs, too! I love a good playlist.